Meru County is located along the eastern side of the Mt Kenya ring road. Meru County borders Isiolo County to the North and North East, Tharaka County to the South West, Nyeri County to the South West and Laikipia County to the West. 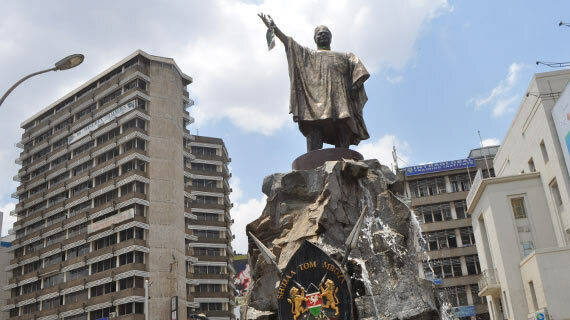 Meru County is the home of the Imenti, Tigania and Igembe sub-tribes of the Ameru (Meru) tribe, which is related to other tribes living around the Mount Kenya region: the Kikuyu and the Embu people. The people of Meru County are now predominantly Christian: Methodist, Presbyterian, Roman Catholic, and other denominations, reflecting the work of missionaries. Meru County is also home to minorities of Indian descent, who are mainly Hindus, and African/Arab descent, who are Muslims. Meru County is also home to some Europeans, predominantly British in ancestry. 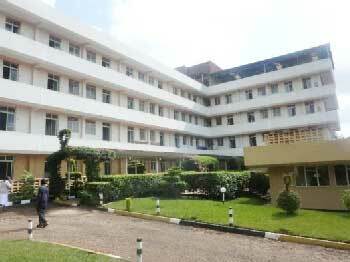 The proposed county headquarters is in Meru. 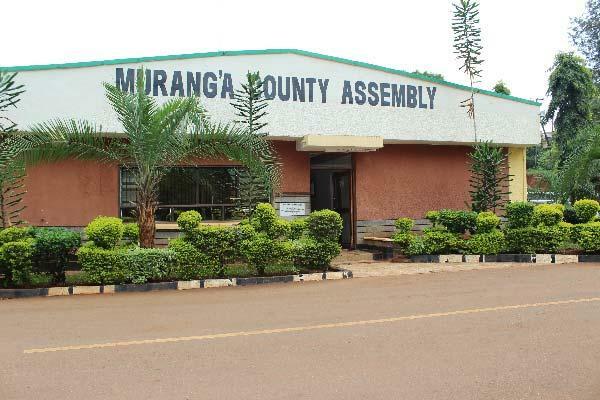 The County has seven constituencies: South Imenti, Central Imenti, North Imenti, Igembe South Constituency, Igembe North Constituency, Tigania East Constituency, Tigania West Constituency and the proposed Buuri Constituency. 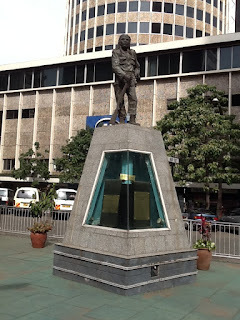 The statue of Field Marshal Dedan Kimathi on Kimathi Street in Nairobi. 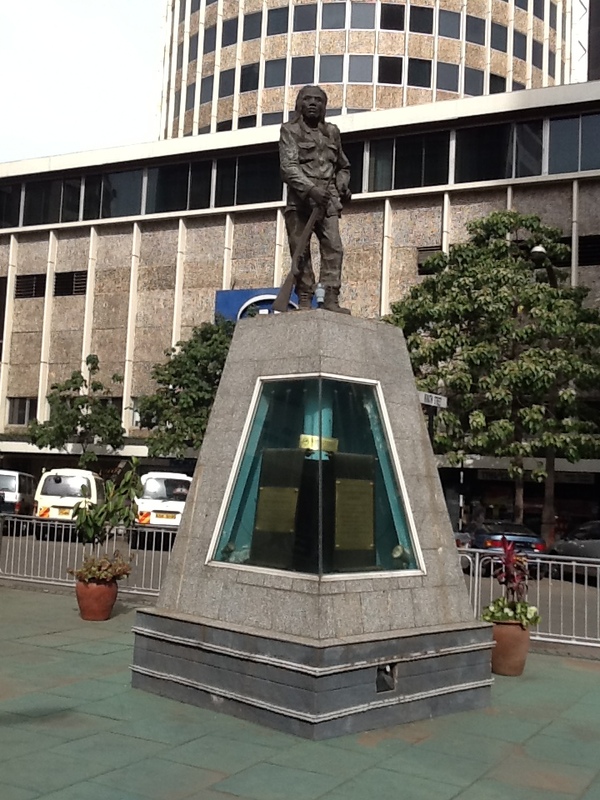 Kimathi was captured and hanged by the colonial government at the height of Kenya’s freedom struggle. 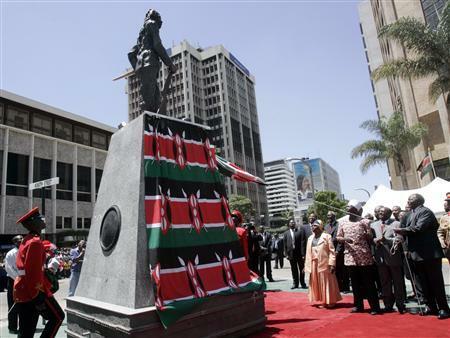 His grave at the Kamiti Prison has never been identified. The aberdare national park was established in may 1950, it covers an area of 766 square kilometers, the mountain range between 7,000 ft to 14,000 above the sea leve. The park has stunning landscapes from the mountain peaks to deep valleys with streams, rivers and waterfalls. the mountains have moorland bamboo and rainforests. The two highest peaks are OlDonyo Lesatima (13,120) and kinangop at 12,816ft. 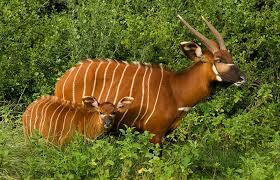 The park is 100 kilometers North of Nairobi. The Aberdare range was named by J.J Thompson in 1884 in honor of Lord Aberdare, who at the time was president of the royal Geographical society and the royal historical society. The Rhino Charge is an annual fundraiser to carter for the fencing of the aberdare national park as a means of protecting the East Africa's largest indigenous forest from destruction. 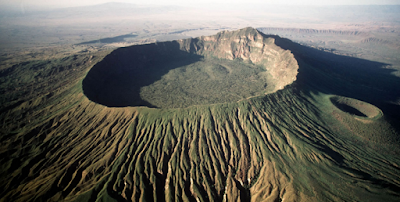 Menengai crater is located eight kilometres from Nakuru town, along Nakuru main road. It is a dormant volcano and the second largest crater in the world. it plunges 483 metres from the rim. The volcano was formed about 200,000 years ago. the 12 x 8 kilometres caldera formed about 8000 years ago and is one of the best preserved calders in the world. The crater foot is ideal for hiking . the summit is accessible by foot or vehicle and there is geothermal prospecting in the crater for energy. Colorado Springs amazingly has several and various places which are ideal in building homes. In fact, there are places that are very cheap to stay yet will surely provide you with high levels of convenience as you live in to it. 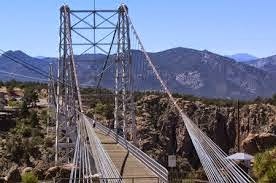 Through living in this place, you can surely be able to acquire a 'Hotels Colorado Springs' experience due to the reason that almost all accommodation in this place has the inclusion of high-end ambiance for optimal convenience. Several sources of livelihood in this place can even be found which only means of total job opportunity and at the same time acquiring a living that is full of integrity. As based from payscale.com, Pueblo Colorado has the cheapest living cost compared to any other major cities in the world. In fact, Pueblo, Colorado has 13% of lower living cost than other major city all over the globe while Springs, Colorado has 7% and Denver, Colorado has 5% of lower living costs. As based from the August 2009 U.S. report right from the Bureau of Statistics, Pueblo, Colorado's unemployment rate has the rate of 8.9% which is just a fraction of springs, Colorado's unemployment rate of 8.3%. Some of the major employers of Pueblo, Colorado are like the General Motors, Exxon Mobil, and Wal-Mart. As based from the August 17, 2009 report, the average price of housing rates in Colorado is only about $104,900. In the 2000 census of USA, Pueblo, Colorado had a total population of 102, 121 people and have a 55% of not being influenced with Latino and or Hispanic inhabitants. Its usual temperature ranges up from 91 degrees by the month of July and 14 degrees by the month of January. This place is specifically located 103 miles away from southeast parts of Colorado. Removing Tree Stumps is one of the hardest things to do whenever you cut some trees. If you leave uncut stumps then you have to expect certain types of dangerous ailments like honey fungus. This can even affect surrounding vegetation. You can contact a company that has specialization in tree surgery. As you call on to certain types of tree stump companies like the 'Tree Removal Colorado Springs' then you will be provided with professional and expert operators together with some tree stump grinders as promised from its site. This kind of Mechanical method is very easy and quick to do. It even prevents the occurrence of peripheral ground damages as you remove some stumps. If in any case that you cannot afford to hire professional tree stamp removers then you can just burn it. It will surely not cause you that much and can even preserve your time and effort compared to manually removing it through using certain types of plowing tools. You can also dig the soil for about ½ inches in diameter. You should specifically do this kind of step in a diagonal way to promote easier type of plowing. You can fill out plowed soil holes using salt peters and or some commercialized stump-killing products available over your local department stores. You also need to put hot water in the holes. If you notice that the water already dissipates, you need to add more and more water 'till the stump killer is completely dissolved. 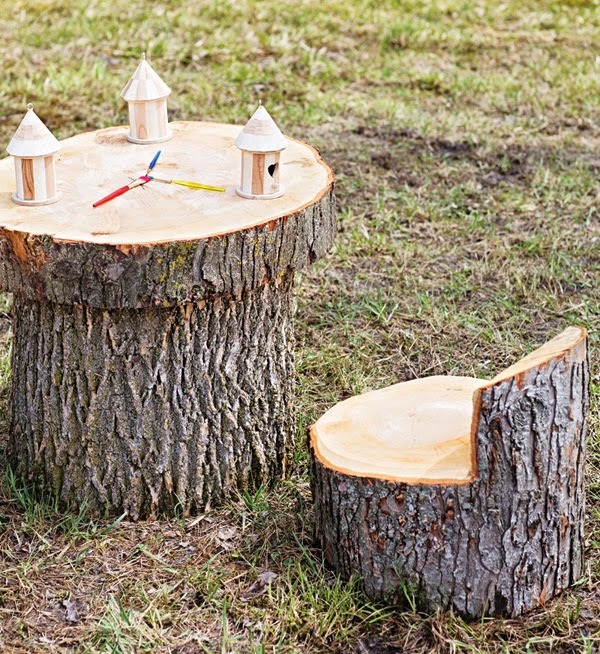 After doing it, you can already burn the tree stump. This kind of step will efficiently remove stumps permanently. 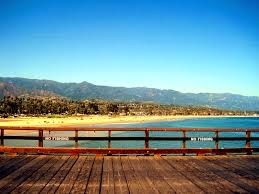 It is understandable why California attracts a lot of people. It is warm and sunny most part of the year, Los Angeles is full of movie stars, and rollerblading babes can be found all over the place in Venice Beach. Even if it is exaggerated, this part of the California mystique is real and not very hard to find. But California has other things too, that are not scripted, sanitized, and broadcast to the mesmerized masses of the world. The glitter and glamour are only the surface of an incredibly diverse state that would be a productive and powerful nation in the event of ever getting separated from the Union. California has it all: redwood forests, an incredibly verdant Central Valley, the Sierra Nevada, deserts, a lot of well-known cities, and hundreds of miles of beautiful coastline. Despite the crime, pollution, traffic, and earthquakes, which have made California famous as well, people here are still the golden children of the United States, America's spoiled rich kid that is either loved or loathed by everyone. (In Oregon, for example, they sell lots of license-plate rims stating "I hate California.") To be perfectly sincere, people here don't really care. Californians are aware of the fact that they live in one of the most interesting places in the world, and they're proud of their state. Nobody can guarantee you that you'll meet Arnold Schwarzenegger or learn how to surf here, but with a little time, a little money, and an adventurous spirit, you will be guided by us and offered one of the most fulfilling vacations of your life. The four of us do nothing but travel, but we chose to live in California because this place has so much to offer. 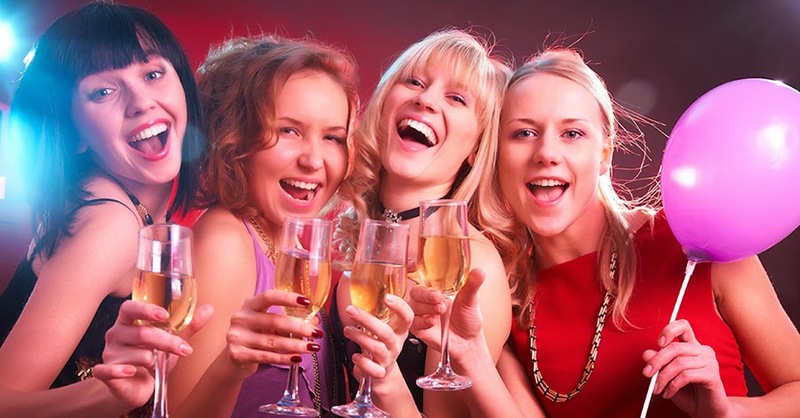 There is a tradition of celebrating a hen party for a girl prior to the day of her wedding. This is also known as a bachelorette in many countries as well. It is an event that is in honor of the bride to be and is usually organized by a best friend or a sister. This all- women event is a surprise one that makes a farewell celebration to the maiden days of a bride. In addition, on many occasions there are weekend parties too arranged. In this way, the bride and her group of friends and sisters get to be out of town to enjoy it for the weekend. There are several exciting and interesting games and other activities made a part of parties. These are all done to make the occasion special and very enjoyable. There is a special cuisine that is always planned for the occasion along with drinks to complement as well. Then there are several games and events that are planned for entertainment at it as the ladies set to play and get into the mood for it. Some of these games are like Truth and Dare and handbag games among many others. You may also at times take your event out of town. There are several destinations all over the UK and in other parts of Europe as well that can be visited. There are facilities and arrangements for fun and thrilling activities here. Destinations like London, Blackpool, Brighton, Bournemouth, Leeds, Amsterdam, Valencia, Prague, Budapest and Paris are only some of the popular names among many others. There are several and a varied range of possibilities of gaming and leisure when you are on a weekend event and the occasion is special. Additionally all the popular destinations are extremely well facilitated with some incredible options of fun and entertainment. There are several games and activities that you can engage in. get into a game of paintball or even a race of the quad bikes. It will be an interesting test of your driving skills. There are other games like go-karting races and even rally karts that can be tried. You can also engage in water sports if you like. There are several options from water scooting and jet skiing to even parasailing and windsurfing. There is the service of chartered boat trips with which you all can cruise along with some special arrangements onboard. However, there are always those special attractions of shopping at your favorite destinations and spending time sightseeing around the cities and its attractions. There is another way to spending a great weekend. Take a few hours at the Spa with some of the best therapeutic massages and salon treatments. It will rejuvenate you all before the wedding celebrations commence. For more information on hen weekends, check out the info available online; these will help you learn to find the hen parties!